The clamour for special status for Andhra Pradesh is growing on social media, and the people of the state are planning a massive protest in Vishakapatnam on Republic Day, on the lines of the jallikattu protests at Marina beach in Chennai last week. Lok Satta party founder Jayaprakash Narayan has now joined the voices demanding special status, and in an interview to TNM, the leader says that a political solution is the only way out. Jayaprakash Narayan is among the many political leaders who are now speaking up on the issue. Joining the hashtag #APDemandsSpecialStatus, he took to Facebook to say that "It is time we stand united and achieve our right." “The special category status was a solemn promise made by the Prime Minister on the floor on the Parliament. It was not a casual remark,” Jayaprakash told TNM. “The circumstances were also unique. The Parliament bulldozed the state and forcefully divided it,” he said, referring to the bifurcation of the state into Telangana and Andhra. "Now that bifurcation has happened, in some way or the other, it is necessary to honour that commitment," he added. Accusing the Centre and the State of not doing enough for Andhra, Jayaprakash said that while mobilising people for a protest will bring visibility to the issue, the only way to resolve the issue was to find a political solution. “A lot of time has passed after the partition of the state. As time elapses, it becomes more difficult to achieve the special status," he said. "The real solution would be to sit down with state governments and the Centre and discuss a proposal that would be seen as a zero sum game," he added. "If Andhra gets it, other states will ask for it too." Following the protest that was organised at Chennai's Marina beach, many Andhra youth want to replicate the silent stand at RK beach. Thousands are expected to gather at the beach on January 26, in support of the cause. Jayaprakash however says that the protests are unlikely to bring any solution to the issue. Comparing it to the recent protests in Tamil Nadu, Jayaprakash said, “In the case of Jallikattu, it was a local cultural sentiment. The rest of India had no opposition to the sport in a political sense. Rather, the protestors were animal welfare activists and their kind. However, in this case, there will be political opposition because the concessions and tax exemptions will come at a cost to the other states." 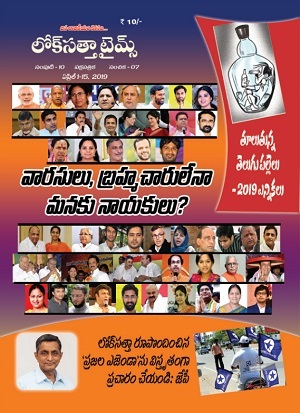 In September last year, massive protests broke out all over Andhra, after Union Finance Minister Arun Jaitley announced a 'special economic package' for Andhra Pradesh, instead of ‘special status’ that the state had demanded. When asked about the differences between the two, Jayaprakash says, "The special package given to the state does come with benefits. 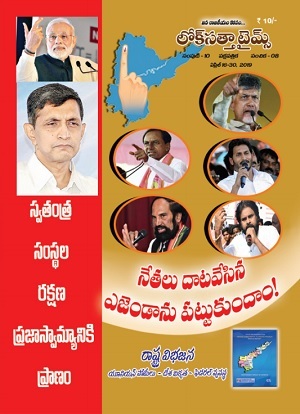 There are benefits in infrastructure, education and healthcare besides a national project status to Polavaram. It is welcome and positive. 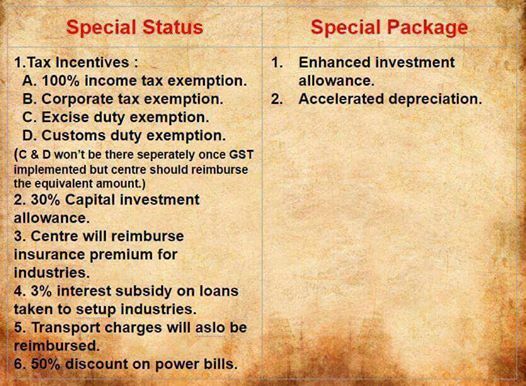 However, for investment and jobs, we need some kind of tax exemptions, which are provided as part of the special status." A photo put up by him on Facebook, explains it better. Alternatively, Jayaprakash also proposes that there could be special financial aid and industrial tax incentives for backward districts in Andhra, and other states, thereby keeping all the stakeholders happy.